This library has gone a long and dusty road 😉 – from the depth of our home studios up to the heights of the German Alps – and it was well worth the journey. DEBRIS definitely comes as a heavyweight in the BOOM Library history. 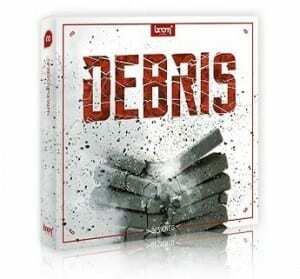 The “DEBRIS Bundle” includes both the “Construction Kit” and the “Designed” version and gives you total flexibility: not only do you have access to the pre-designed, time-saving, ready-to-use SFX, you also get to work with the raw high-quality source recordings to create, adapt and process the sounds just the way you need them. 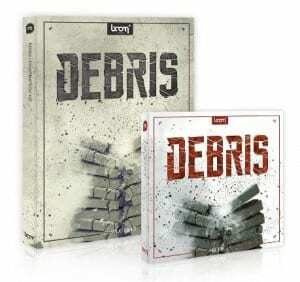 With “DEBRIS you’re on the safe path when destruction takes over. You’re looking for tailor-made, excellent SFX for your current project? 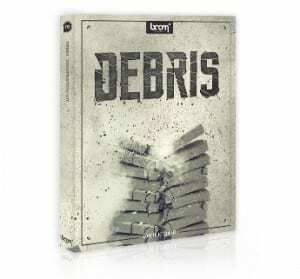 Whether you’re in need of the perfect sound for a scene with a collapsing bridge, the dramatic breakdown of a whole house or the steady trickling of sandy soil, mysteriously revealing what’s underneath – the “DEBRIS Designed” library offers you suitable SFX. You get WOOD, GLASS, ROCK, METAL & MORE and it’s in your hands to determine the intensity as the sounds come in SMALL, MEDIUM & LARGE. Each file contains four variations of a single sound. 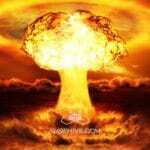 All sound effects are royalty free and were designed by using only the source files of the “DEBRIS Construction Kit”. To improve your workflow even more, all files contain well-grounded Soundminer metadata to quickly and exactly find the sound you need. They were recorded, designed and delivered in 96 kHz, 24-bit, to guarantee you ultimate quality for optimum results. You’d love to start sound designing from scratch and only need some source material? Lucky you: the “DEBRIS Construction Kit” holds massive creative potential. It is filled right to the edge with precious acoustic avalanches: there’s loads of falling, breaking, tearing, rumbling, rattling, clattering of glass, dirt, foam, gravel, metal, paper, plastic, porcelain, rocks, sand, wood, trash, both single and combined recordings. Lay your hands on this library and edit the sounds just as you need it! Still lacking the authentic sound scenery for this enthralling moment when the beast destroys the whole city and everything bursts to pieces? For the collapsing of buildings after the bomb blast? For that fierce fighting scene where they destroy everything they touch? For the ongoing destruction during that raging earthquake? If similar scenarios are on your list and great sound is your trademark, the “DEBRIS Construction Kit” should be within your reach. It lets you exploit your creative potential and guarantees clear and to-the-point SFX you don’t want to miss out on. Each file contains six variations of a single sound to provide you with a great flexibility when forging unique and convincing sound effects. 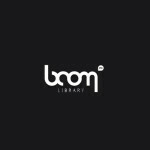 The SFX library comes with a sample rate of 96 kHz / 24 bit, guaranteeing you a top notch level of clarity and precision while adapting the files and making fun and flexibility an integral part of your work process. The library ships as a complete 2 DVD set with more than 6GB of pure source recordings.